Inner Ecology Colon Hydrotherapy Los Angeles - The 'Libbe' If you don't release it, you keep it. The 'Libbe' If you don't release it, you keep it. One of the key factors is that your privacy and personal hygiene are maintained at all times, since the specially designed bed allows you to easily insert the ‘pencil thin’ lubricated rectal tube by yourself. Many people find this deeply reassuring and comforting. Secondly, the entirety of our clients report the LIBBE colonic irrigation open system to be extremely comfortable with virtually no discomfort at all. Because the continuous inflow of water provides more natural, gentle releases, the peristalsis (action of the muscles of the colon) is greatly stimulated. It's an excellent workout for the colon! When you arrive you will be asked to fill out a client information form. 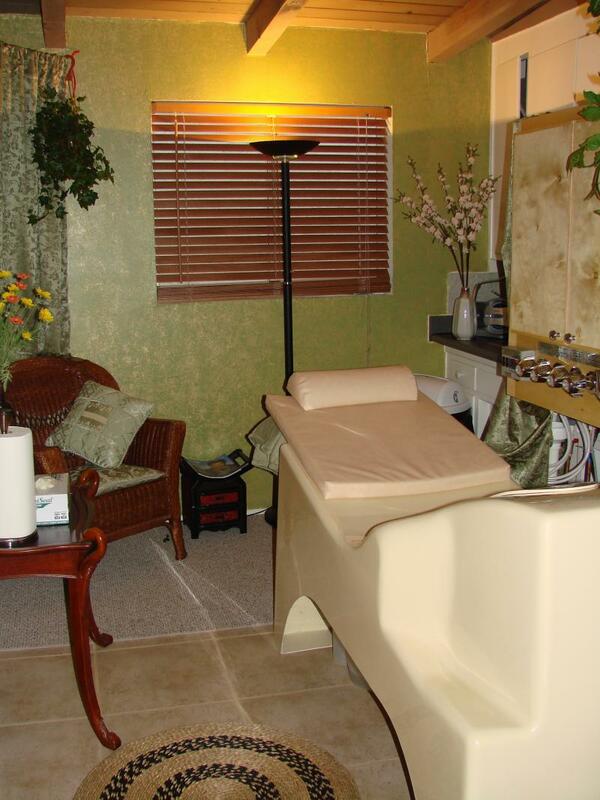 We will also discuss the form and what you hope to accomplish through colon hydrotherapy. In private, you undress from the waist down and position yourself comfortably on the "LIBBE". You gently and easily inserts the LIBBE Rectal tube in privacy. The LIBBE Rectal tube, is the size of a ‘pencil’ individually packaged, sterile, for single use, and is properly disposed of after the session. Water flows through a Carbon filter and Ultra Violet purification system, which removes any sediment, rust, or chlorine, before it enters your body. Warm filtered water enters the colon, hydrates, soaks and loosens the waste. A clear viewing tube allows you to see what comes out during releases. A rinsing sprayer is used to rinse yourself after the session. A Session lasts approximately 45 minutes. Our Board Certified colon hydrotherapists are always nearby to monitor and provide you with assistance and comfort as needed. After each session the LIBBE is thourouly cleaned and disinfected.